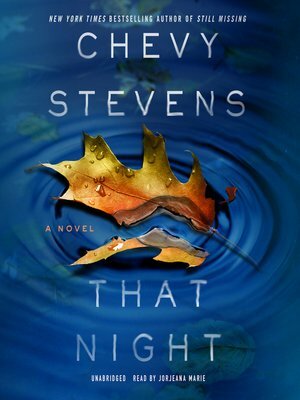 A stunning breakout novel from the New York Times bestselling author of Still Missing in which a woman is convicted of her sister's murder Toni Murphy was eighteen when she and her boyfriend, Ryan, were wrongly convicted of the murder of her younger sister. Now she is thirty-four and back in her hometown, working every day to forge and adjust to a new life on the outside. She's doing everything in her power to avoid violating her parole and going back to prison. But nothing is making that easy—not Ryan, who is convinced he can figure out the truth; not her mother, who clearly doubts Toni's innocence; and certainly not the group of women who made Toni's life miserable in high school and who may have darker secrets than anyone realizes. Before Toni can truly move on, she must risk everything to find out the truth and clear her name.